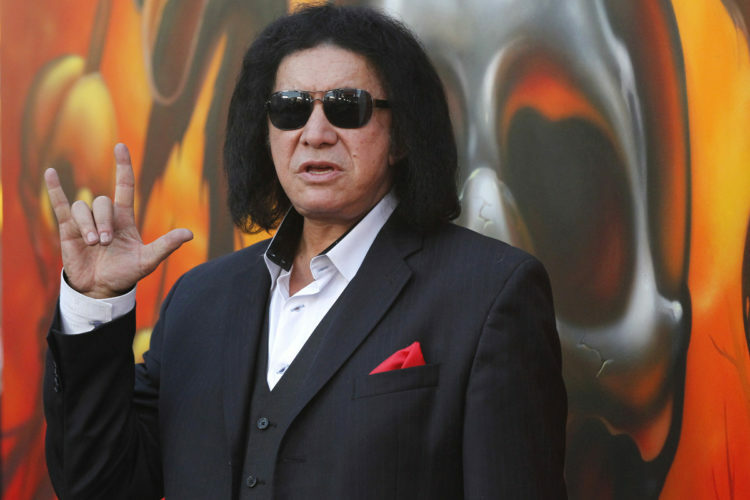 A woman who is identifying herself only as “Jane Doe” is suing Gene Simmons, the front man for the rock group KISS, accusing him of “unwanted, unwarranted sexual advances” made towards her. The only thing we know about “Jane Doe” is that she is a radio and television broadcaster. She is suing Simmons for sexual battery, gender violence, battery and assault. The lawsuit, which as filed in Los Angeles Superior Court, alleges Simmons committed the act on November 1st. The plaintiff was interviewing Simmons and Paul Stanley at their restaurant, Rock & Brews, at San Manuel Casino in Highland, California. The “long-time on-air personality for a local rock station” says Simmons held her hand multiple times unwillingly and “forcefully placed it on his knee and held it on his knee.” The plaintiff also says he “forcibly flicked/struck” her throat. “Defendant Simmons turned standard interview questions into sexual innuendos, which made plaintiff Doe extremely uncomfortable,” the suit states. The accuser also says Simmons “reached toward [her] buttocks and touched it” during a publicity photo they were taking. The bassist has come out with a defense of his accusations on Facebook. What do you think? Is this just a money grubbing opportunist who is riding the celebrity sexual assault train? Or do you think there is some weight to her accusations? It seems that there were witnesses there as he was with Paul Stanley at a restaurant, so maybe her story has no substance. And who hires a lawyer named Willie W. Williams? That name set off alarm bells in my head. A name like that makes you seem no better than Gloria Allred. But I am a man of principle. If there is any way to prove the allegations are true, then the 68 year-old KISS bassist will have to pay the price. I am tired of trying people in the court of public opinion. Let’s wait and see what facts come out about this case.